Balancing blood sugar is a key component to your long term health and wellness. The most potent thing you can do to manage your blood sugar is remove the starches from your diet. You can read more under Phase 2 diet. The ability of the body to properly control blood sugar and thus regulate insulin and cortisol levels is essential to reducing stress and promoting longevity. The largest stress on your body is hypoglycemia (low blood sugar). 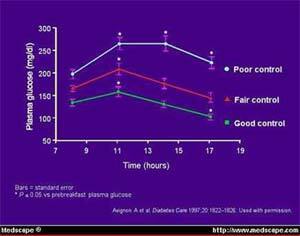 Balancing your blood sugar will regulate your insulin and cortisol response. To create an active healthy long life, we will seek to limit the typical insulin spikes and elevation of cortisol which lead to premature aging, and complex secondary symptoms such as diabetes, heart disease and cancer.